This is the first day of my new blog. What will this blog be about? To anyone who already knows me the answer should be obvious: the guitar! But one of the reasons that I’ve held off on writing a blog is that I’m acutely aware that there are many guitar blogs out there and that if this blog is to have any meaning beyond my own considerable vanity I need to fill a perceived need. But another important function of this blog is my own need to “think out loud” as it were. To formulate ideas and try them out in a public space where they can be subjected to scrutiny, critique, and hopefully approval. Through this I hope to be able to grow artistically and professionally, to be able to brainstorm with myself and with whoever else cares to enter the conversation. So this is my introductory entry. It’s not quite my first foray into the world of blogging, but it is the first that is intended to be on going. My previous experience was a blog that I used to keep my supporters abreast of the developments in my Kickstarter campaign. 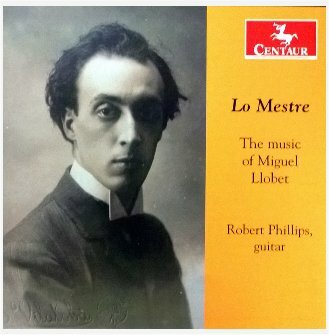 I had used this campaign to raise the money that I needed to record my soon-to-be released CD, “Lo Mestre, the Music of Miguel Llobet”, which will be out on Centaur Records this summer. So what then is this, my first entry, about? It is, I suppose, about itself. No, there’s more than that. This entry is a statement of purpose. I am considered by some to be something of a leader in my field, and this blog is one more piece of the whole picture that makes up “Robert Phillips, Classical Guitarist”. (“Robert Phillips, Classical Guitarist” is to be distinguished from Robert Phillips, private citizen. One is what I am, the other, who.) So I might say that this blog is part of what I am, or how I portray myself publicly. Over the next few days I expect that this blog will find itself. Or perhaps a better way of saying it is that I will find my blogging voice. I intend to blog about the progress of my CD release (as updates become warranted) and in the future about the progress of other projects. I intend to blog about my work – what music am I learning, what am I doing to learn it? I will blog advice to students, perhaps publicly answering questions that were first posed privately. What will be my next post? Tomorrow I will discuss my work as a lifelong guitar student.